Although Android Oreo 8.1 has been out for a while, most manufacturers are still rolling their 8.0 updates out. 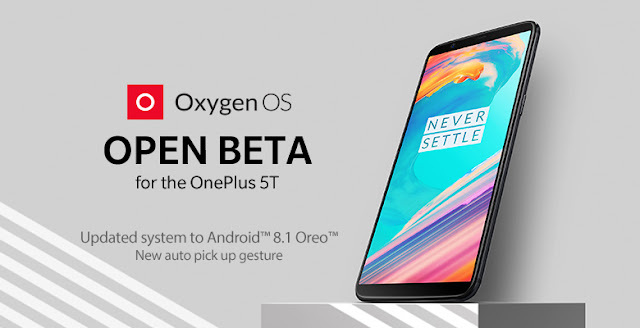 OnePlus isn’t releasing 8.1 in an official state, but the latest Open Beta 4 for the OnePlus 5T is now based on the latest version of Android. If you’re already running the Open Beta, this latest version will be an OTA for you. If you own a OnePlus 5T and want to try this potentially unstable software out, hit the source link for the info on how to install it! Don’t forget to give feedback on the OnePlus forums, as that’s the entire point of a beta test.